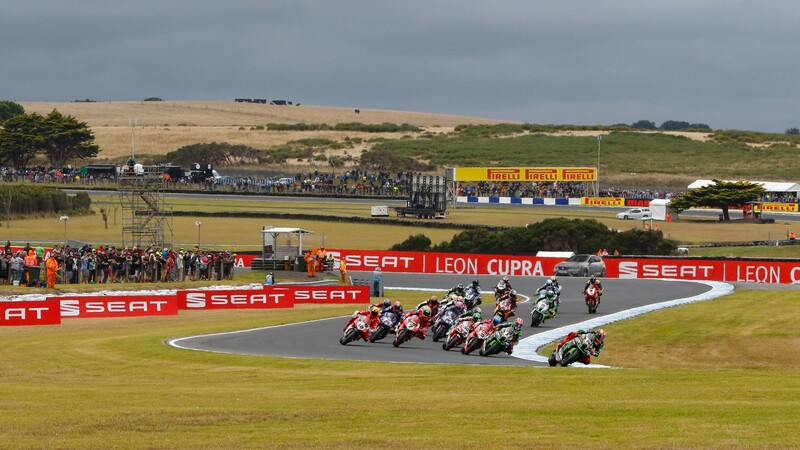 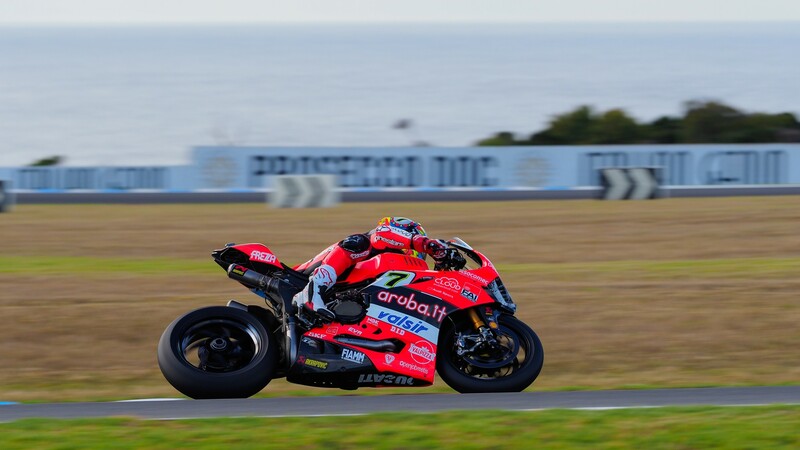 Marco Melandri (Aruba.it Racing – Ducati) put in a stunning ride at Phillip Island to win the opening race of 2018, stalking his way through the podium places before being able to catch and pass earlier race leader and polesitter Tom Sykes (Kawasaki Racing Team). 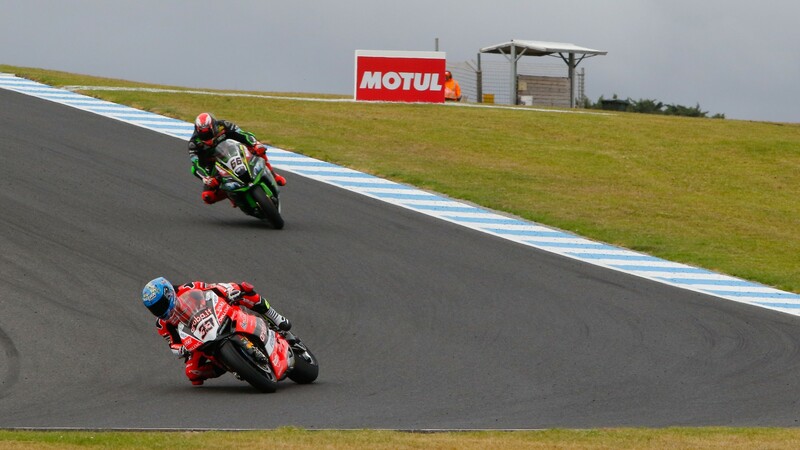 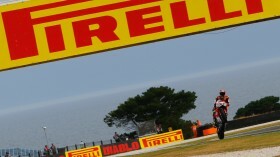 Melandri adds the victory to an illustrious list of glory accrued at the Australian track, including MotoGP™ and 250 World Championship wins. 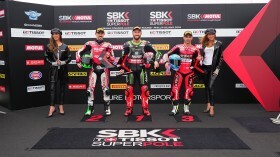 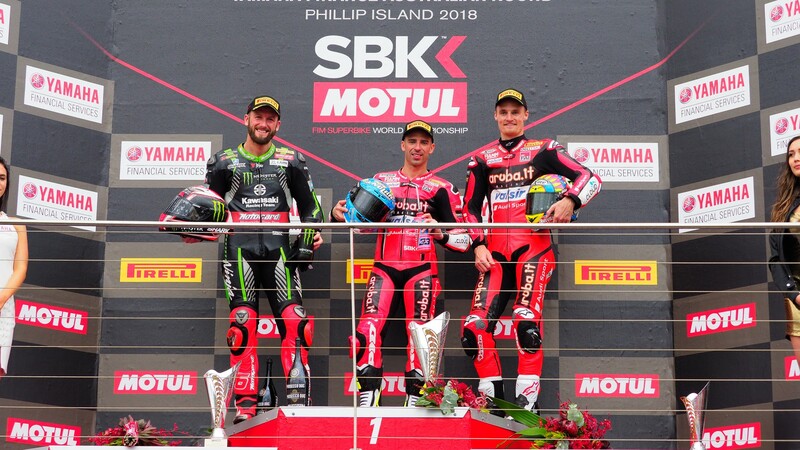 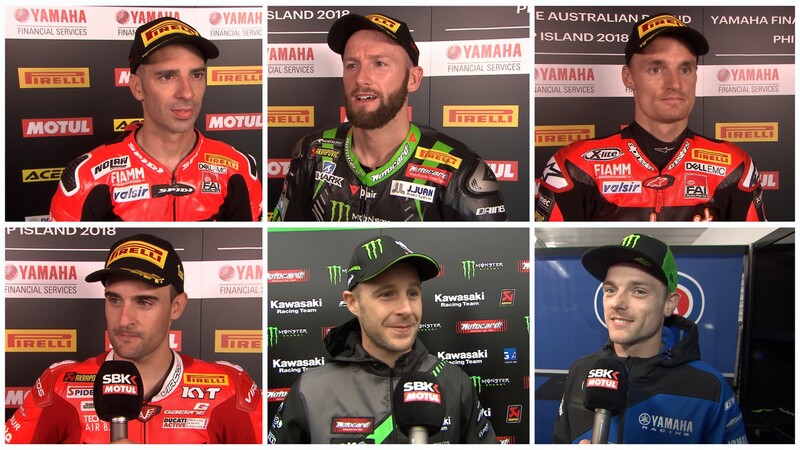 Behind Sykes, who took second, Melandri’s teammate Chaz Davies completed the podium – slicing past reigning Champion Jonathan Rea (Kawasaki Racing Team) right at the end to begin his season on the rostrum after some late drama for Rea. 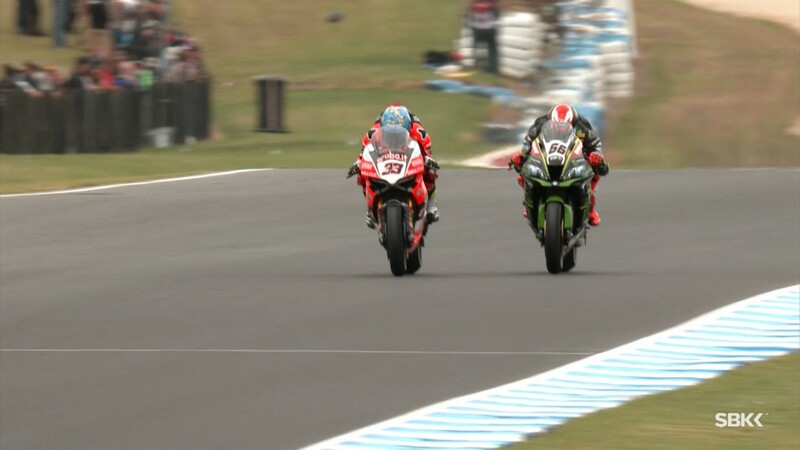 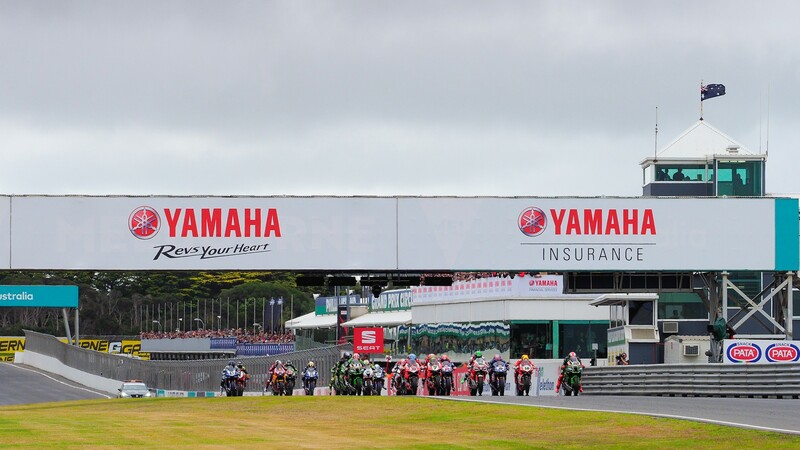 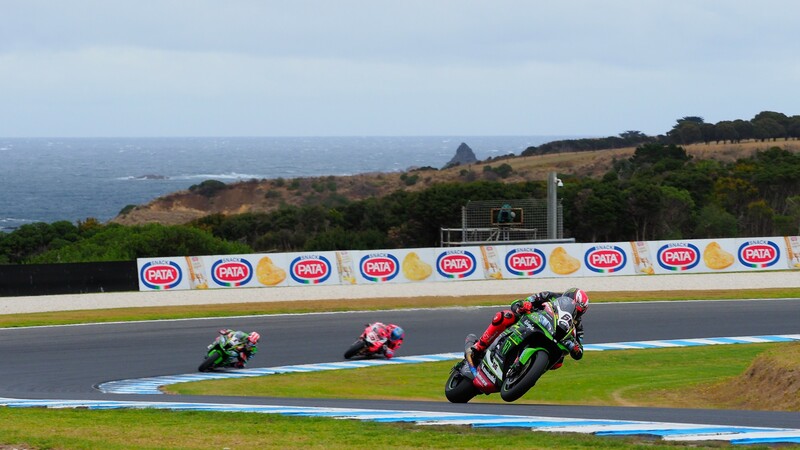 Check out Race 1 OnDemand and gear up for Race 2 with WorldSBK at your fingertips for the rest of a stunning 2018 season on VideoPass – live or OnDemand.